At Aoléon’s home, Gilbert meets Aoléon’s family, her sister Una, mother Phobos and father Deimos as well as her overzealous pet Zoot. He is also introduced to Bizwat, a covert operator and Procyon Commando, who uses his Saturn Pizza delivery job as a cover. Brent is back with part two of this series and if you loved part one, you're going to love part 2 even more. 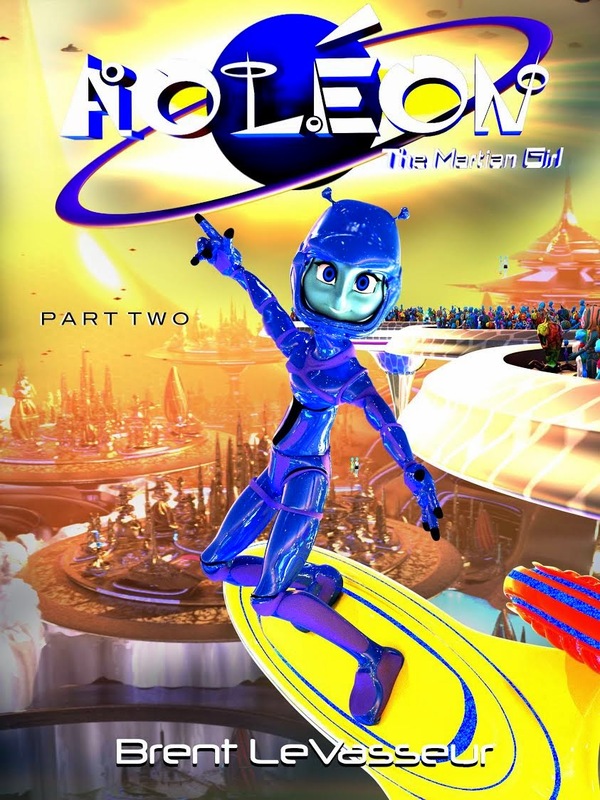 The story continues to move along and this time, we're introduced to life on Mars as Aeleon knows it. Just like in the first part, the illustrations are beautifully done in a style that fits perfectly in with the story. I will say though that they really need to be seen in color to be fully appreciated, so if you're trying to read this on a black and white e-reader, check it out on your computer. You'll be glad that you did. Honestly, I could go on and on about how great the dialogue is, how fun the story is, and that's all true but what I want to say is go and get this series...if you'll have any complaint is that you have to wait for the next segment to come out. Looking to get it now? Click here.